(L-R) Janeane Garofalo, Gemma Whelan, Sarah Millican and Caroline Rhea are bringing female funny to the annual Fringe Festival in Scotland. (CNN) -- Once a year, the largest arts festival in the world takes over Scotland's capital turning the city into a smorgasbord of comedy, theater, dance and more. Dispelling the stereotype that women can't do comedy, CNN takes a look at the funniest female comedians appearing at this year's Fringe Festival in Edinburgh. Janeane Garofalo began her stand-up career in the late 1980s. 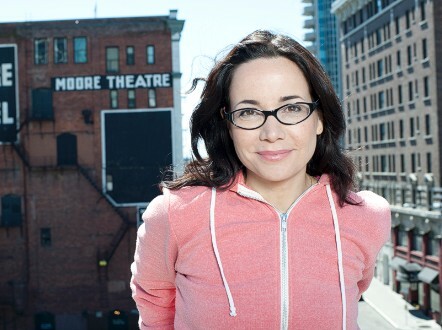 Star of "The Larry Sanders Show," "Seinfeld," and "24," Janeane Garofalo is returning to the Fringe for a second time since her 2009 Edinburgh debut. The American comedy icon and two-time Emmy nominee gives punters a slice of her raw repartee in her self-titled stand-up show, which runs for just four nights. "Janeane Garofalo." 22:45, 20th -- 23rd August, Assembly Rooms, George St, Edinburgh. 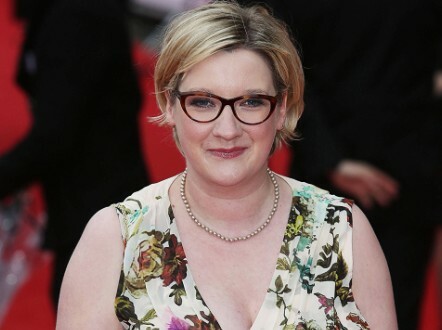 Sarah Millican has become Britain's most commercially successful female comedian. Sarah Millican has fast become the designated darling of comedy thanks to her regular U.K. television appearances and blistering stand-up set. With her Edinburgh tour sold out months in advance, this upcoming show looks set to be the British comedian's greatest venture yet. "Sarah Milican: Home Bird." 18:40, 1st -- 25th August, The Stand, York Place, Edinburgh. Tig Notaro finds mirth in misery in her new show. Described by the illustrious Louis C.K. as "an amazing example of what comedy can be," Mississipi-born Tig Notaro makes light out of heartache in "Boyish Girl Interrupted." Having sold 75,000 copies of her live set online, Notaro is technically more popular than KISS, and a must see first Fringe show. "Tig Notaro: Boyish Girl Interrupted." 18:45, 16th -- 25th August, Gilded Balloon, Teviot Row, Edinburgh. 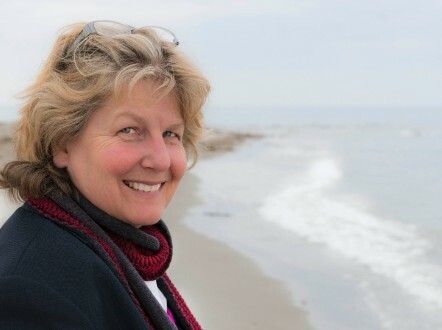 Radio favorite Toksvig has been on the airwaves for decades. As a British radio comedy stalwart, Sandi Toksvig's Edinburgh show is a hot ticket at this year's Fringe. A member of the illustrious Footlights troupe during her student days at Cambridge, the half Dane has also turned her hand to novel writing, penning more than 20 books for children and adults over the past two decades. "Sandi Toksvig, My Valentine." 16:00, 3rd -- 11th August, Pleasance Courtyard, Edinburgh. Lucy Porter returns to The Stand this year for another stand-out stand-up set. After a brief break from the stand-up world, Lucy Porter returns to Edinburgh with her chatty and witty humor. In this year's show, expect to hear Porter's hilarious tales from her quest to find her spiritual home in the north of England. "Lucy Porter -- Northern Soul." 17:10, 31st July -- 25th August, The Stand, York Place, Edinburgh. 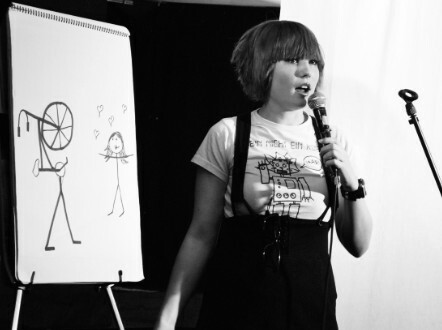 Australian comic Bec Hill uses arts and crafts in her comedy sets. Fringe regular Bec Hill returns to Edinburgh this year fresh off the back of her European tour. Having performed stand-up since the age of 19, Hill is no stranger to the live circuit in both Britain and her native Australia, and the purveyor of 'paper puppetry' looks set to have another hit show this year. "Bec Hill: Bec by Popular Demand." 16:00, 1st -- 25th August, Gilded Balloon, Bristo Square, Edinburgh. Australian Claudia O'Doherty is a veritable oddball comic. As one of the breakout hits of last year's Fringe, Aussie Claudia O'Doherty's set is definitely one to look out for. The self-proclaimed 'cheer-jerker' returns to the Festival for the fourth time with "Pioneer," a guaranteed mix of all things odd. "Claudia O'Doherty: Pioneer." 21:50, 31st July - 26th August, Pleasance Courtyard, Edinburgh. Katerina Vrana performs stand-up in both Greek and English. Bringing a slice of sunshine to Scotland this year is Katerina Vrana, a Greek born U.K. dweller who can even deliver sets in both languages. Following a sell out tour at the Melbourne International Comedy Festival earlier this year, Vrana's debut solo show confronts stereotypes, identity and delusions of grandeur. Katerina Vrana, "Feta with the Queen." 22:00, 2nd -- 25th August, Laughing Horse @ Espionage, Victoria St, Edinburgh. Caroline Rhea is best known for her role in "Sabrina the Teenage Witch." 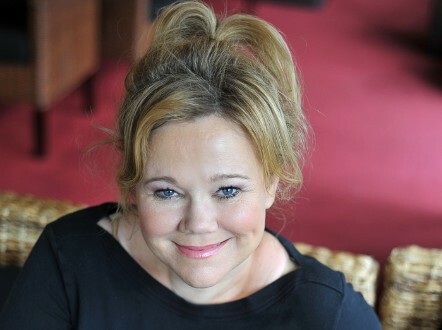 Alongside her legacy as Aunt Hilda in "Sabrina, the teenage witch," Caroline Rhea has enjoyed a successful stand-up career to date, including several past outings at the Fringe. Her newest show includes a variety of spontaneous musings from one of America's best loved small screen stars. "Caroline Rhea." 20:15, 31st July -- 26th August, Gilded Balloon Teviot, Edinburgh. Pint-sized comic Susan Calman isn't shy when it comes to stage or screen. Susan Calman's comedy CV is undoubtedly one of the most masterful on the circuit. Having appeared across radio, television and the stage for nearly a decade, the diminutive Scot is developing her latest show with the help of an Edinburgh audience this summer. 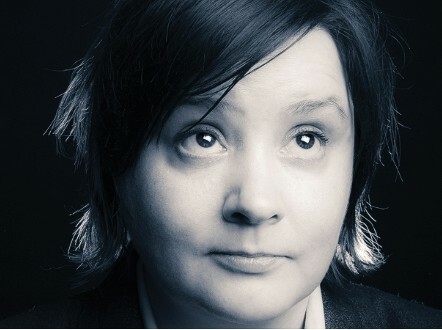 "Susan Calman: Always (A Work in Progress)." 18:00, 1st -- 12th August, Stand III & IV, York Place, Edinburgh. Panel show regular Zoe Lyons is back on the live circuit this summer. 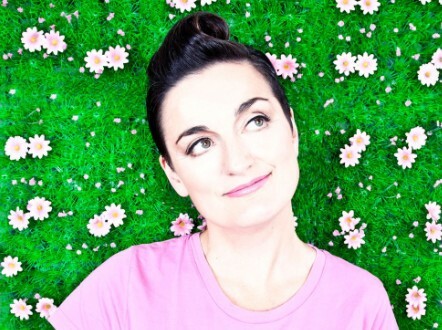 Acerbic satirist Zoe Lyons is gracing the Fringe this year with "Pop up Comic" -- a show that isn't afraid to ask the big questions. Prams for dogs and so much more are covered with the trademark Lyons energy that has cemented her status as a favorite on the U.K. hit show "Mock the Week." "Zoe Lyons -- Pop up Comic." 17:00, 1st -- 25th August, Assembly Rooms, George St, Edinburgh. 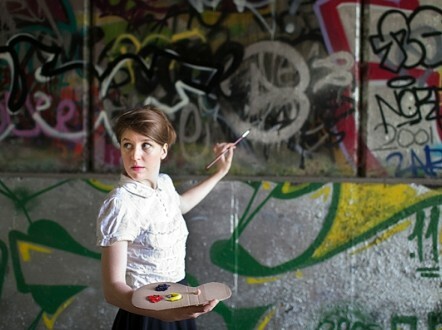 Character comedian Gemma Whelan takes to the Fringe as Chastity Butterworth. "Game of Thrones" star Gemma Whelan is no stranger to the small screen, but this year sees her take character comedy to Edinburgh's stage for the first time. 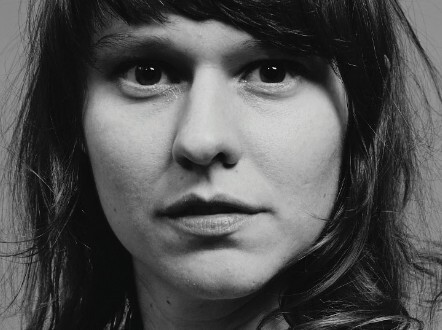 Chastity Butterworth, Whelan's charming yet incongruous creation, is going all out this year. "Chastity Butterworth & The Spanish Hamster." 17:45, 31st July -- 26th August, Assembly Roxy, Roxburgh Place, Edinburgh. 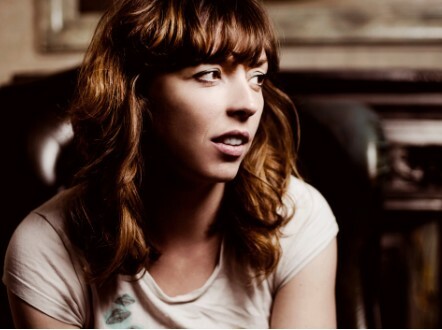 Bridget Christie: one of the funniest feminist comedians on the block. Offbeat comedian Bridge Christie returns to the Fringe this year with her latest offering "A Bic for Her." As a front runner in the funny feminist brigade, Christie's eighth solo Edinburgh show looks set to be her usual winning mix of avant-garde entertainment. "Bridget Christie -- A Bic for Her." 11:10, 3rd -- 25th August, The Stand, York Place, Edinburgh.